If we were forced to describe our team in one word we would choose “curious.” That word describes our staff from the front office to the labs and all support or technical roles in between. You see, our curious mindset paired with strong educational backgrounds and industry experience yields creative and sound solutions for our clients. It also yields some really interesting science experiments, like the creation of transparent wood. 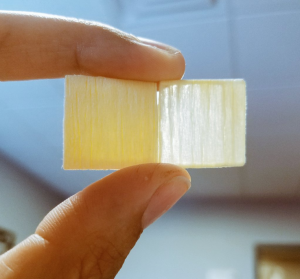 One of our interns recently came across a paper about a group of researchers that produced transparent wood. In the most basic sense this group of researchers removed the lignin from the wood and replaced it with a polymer that cures transparent. Of course, the process to achieve transparent wood was much more complicated than those few sentences suggest. 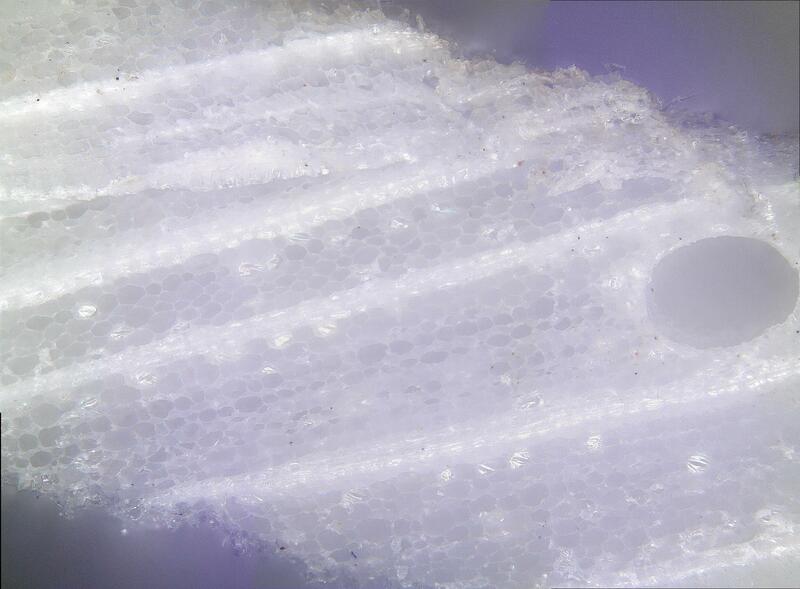 Lab-based interns requested approval to replicate this experiment and attempt to create transparent wood. Permission was granted for their “off-time” when they weren’t busy supporting our laboratories. They were also required to work with our lab safety manager. And thus, the process began. We wanted this to mimic the discovery process used during a research endeavor so it was required that the interns kept detailed lab notebook pages, as if this was being done for a client. They also had discovery meetings to plan out the experiment, to include how to purchase supplies and prepare solutions. The wood samples were placed in a crystallization dish and put in oven at 110oC for at least 24 hours for drying. This was necessary because the residual moisture in the wood must be taken out. A solution was made and used immediately. 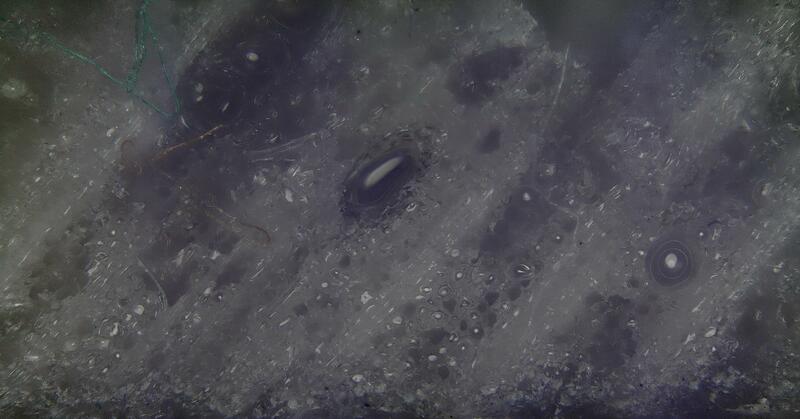 The overall solution used was an acetate buffer with 1 wt % of sodium chlorite. To make this solution we made a 1 normal sodium acetate solution, and a 1 normal acetic acid solution. We then added sodium chlorite to a beaker and added both of the previous solutions to the beaker. In order to achieve delignification, the samples were added to the prepared sodium chlorite solution, heated to 80oC, and kept at this temperature for 6 hours. After the PMMA achieved the desirable viscosity, which was gauged by any thickening of the fluid, it was added to a crystallization dish. The delignified balsa squares were then added to the dish containing the PMMA. The dish was then placed in a vacuum oven for polymer infiltration. In other words, this is the step in which polymer was added to fill the gaps created when the lignin was removed. The vacuum oven was used to infiltrate the delignified balsa with the viscous polymer, in 30 minute intervals. After each interval, the vacuum was released. The samples were taken out of the vacuum oven, and sandwiched between glass slides. 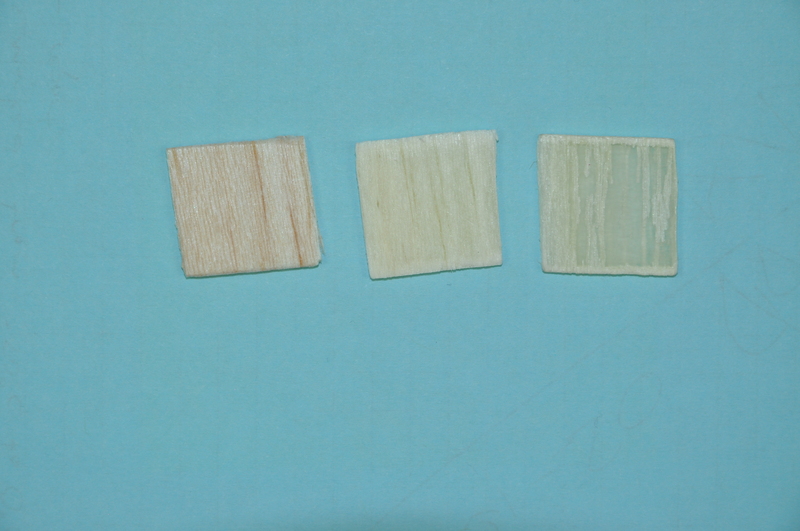 The resulting wood could be characterized as translucent rather than fully transparent. 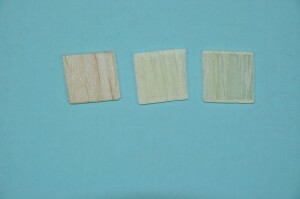 It is clearly different from untreated balsa wood, when doing a side by side comparison. It also has a glossy, smooth, and shiny finish as compared to the matte and rough finish of the untreated wood. To refine the experimental process there are two portions of the experiment that could be modified in an effort to produce better results. First, a different method of delignification was identified in a separate research paper. Following this procedure could result in better delignification and therefore allow for more thorough polymer infiltration. 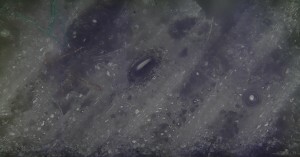 Using microscopy techniques it would be possible to characterize the extent of the delignification and assess the effectiveness, compared to previous iterations, before proceeding to the polymer infiltration portion. Why would we bother to spend time creating transparent wood with a team of interns? We aren’t in the construction business. We aren’t in the home décor business. We aren’t even a manufacturer of any sort. But what we are is a group that loves great science and a good challenge. That is exactly what this experimental process presented. It was a tremendous teachable moment for these up and coming scientists we are fortunate to have as interns. We know that when creativity and curiosity are allowed to flourish and are combined with the scientific process, discoveries are made. Discoveries about who we are, discoveries about science, and discoveries that improve the world we live in. Very interesting, I am wondering if we could apply this technology to injection moulding parts that could be biodegradable. Would like to be kept aware of the development by sending me emails on the progress. We are a company constantly striving to replace plastic with Compostable materials. All the success in your efforts. As a Co-op engineer from University of Cincinnati I have personal understanding of the difficulty in finding sponsors/employers who deliver meaningful on the job challenges for scientists in training. This is a great example of how to balance work output with the obligation to advance education of interns & Co-op engineers. Determine lignin quantity removed and compare to actual lignin present. Thank you for reading our blog and leaving an insightful comment. We are lucky to have such a curious group of interns that pursued such an interesting project on their own! Stay curious!